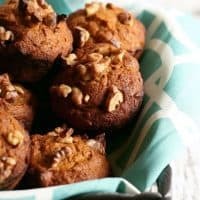 Pumpkin Nut Muffins - Perfect for Fall Breakfasts! 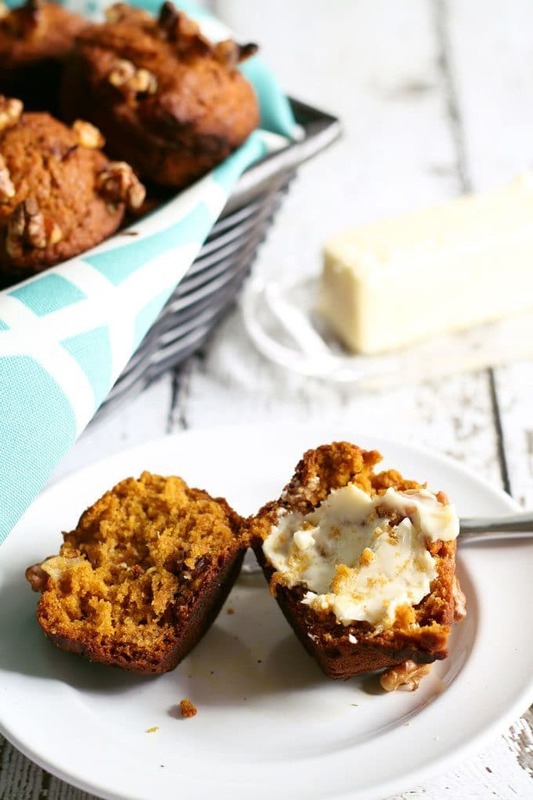 These pumpkin nut muffins are perfect when you are looking for a tasty fall breakfast! They are a great alternative to traditional banana nut muffins and are easy to make. Move over banana nut muffins, there’s a new kid in town. 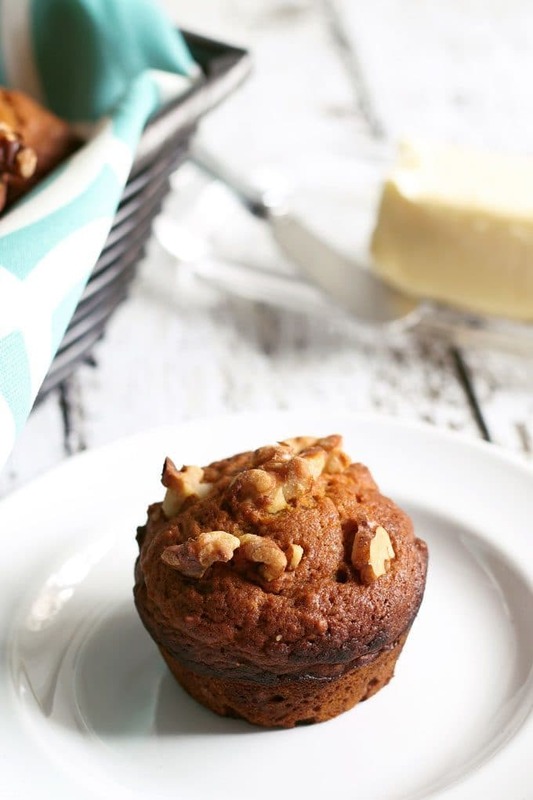 Today I’m sharing with you my pumpkin nut muffin recipe. It is perfect for autumn baking projects! 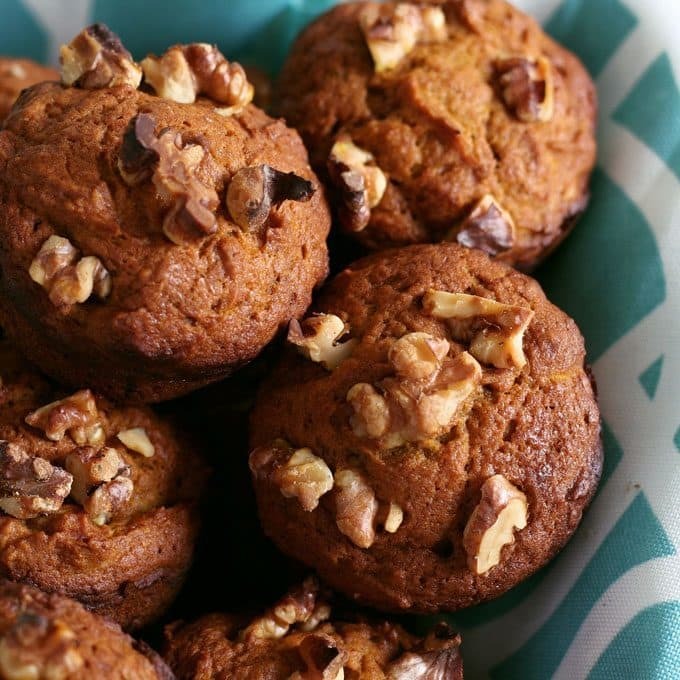 I love making these pumpkin nut muffins. This recipe came about one day when I wanted to make my favorite banana nut muffins but my bananas weren’t ripe enough. I had the idea to substitute pumpkin and it was the best decision ever. I then immediately start dreaming about fall, which is my favorite season. I am one of those people that can never get enough pumpkin spice everything. Yep, I’m the girl who started asking for PSLs at the coffee counter in March. The looks the baristas give me…. I use melted butter because there is no need to wait for it to soften; that makes these easy to whip up in the morning. If you have kids to get ready (or… a husband/wife to get ready), you can throw a batch of these in the oven while everyone is brushing their teeth, taking showers, etc. I bet those pumpkin-spicy wafts of air will get them moving a little faster. The pumpkin puree makes these muffins incredibly moist; I often skip putting butter on them because you really don’t need it. Grab a cup of coffee and a muffin and you have the perfect fall breakfast! Slowly mix in the set aside dry ingredients, cinnamon and pumpkin pie spice until just mixed. Fold in a 1/2 cup of walnuts and the remaining pumpkin puree with a rubber spatula. Spoon the batter into the muffin tins until 3/4 full. Put in oven and bake for 5 minutes, then remove. Sprinkle remaining nuts over partly cooked batter and return to oven. Bake approximately 15-18 minutes, or until a toothpick stuck in the middle of the muffin comes out clean. Let cool before removing from muffin pan. This recipe was first published on Craftaholics Anonymous. 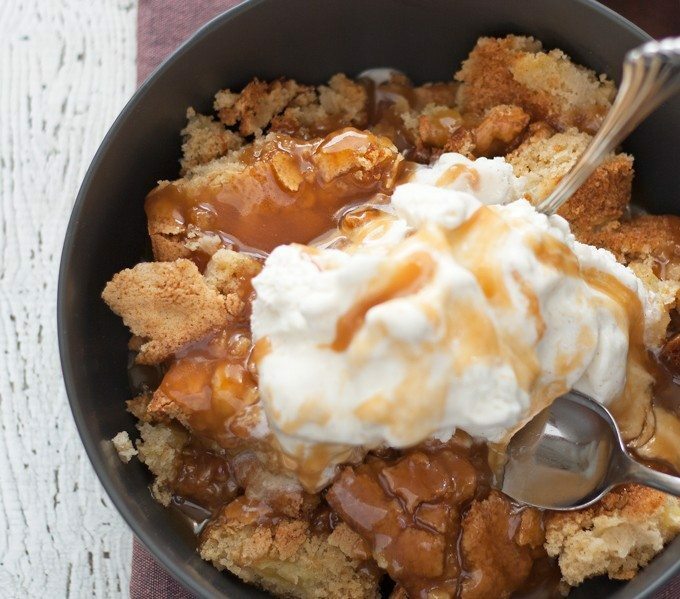 Try this apple cake sundae! 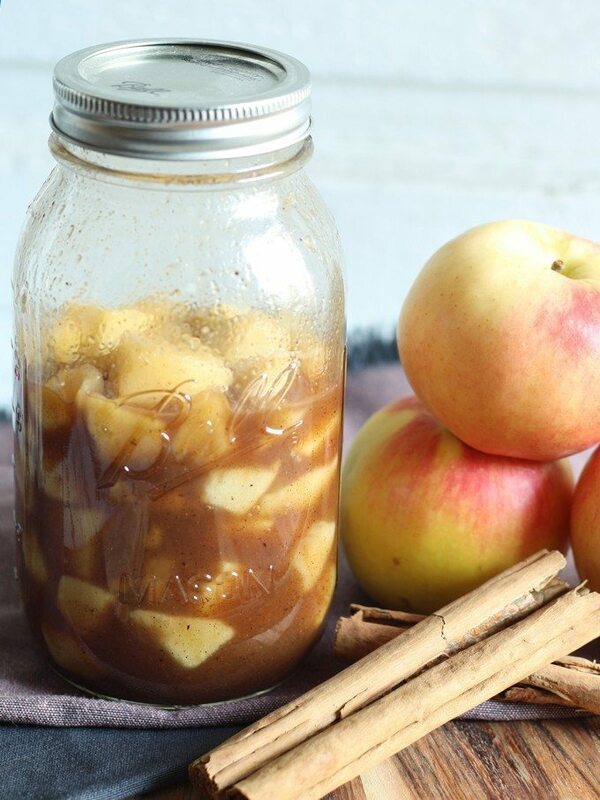 Or this homemade apple pie filling. 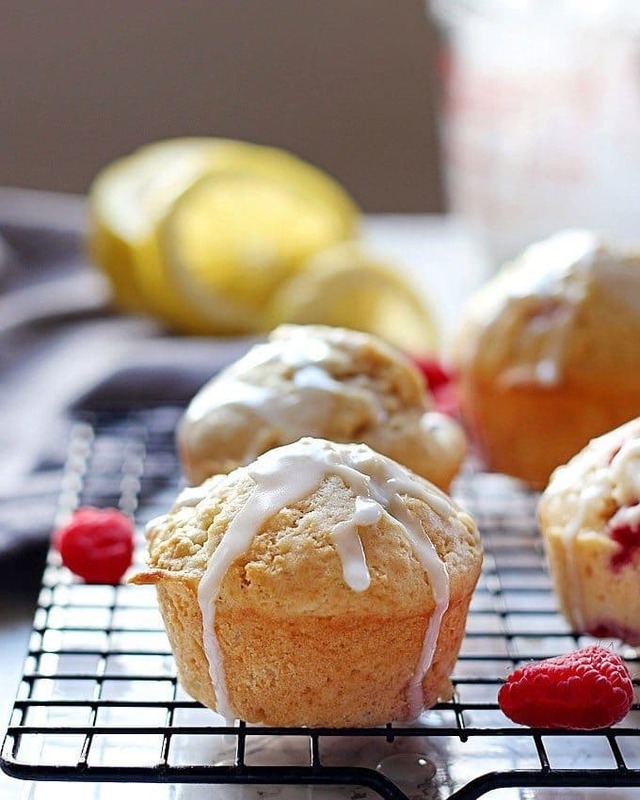 Try my raspberry lemon muffins. 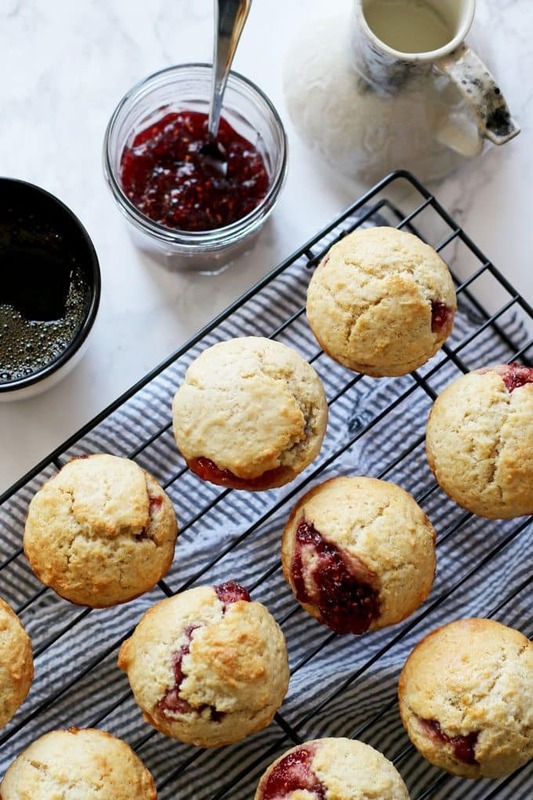 Or these easy muffins filled with jam. Thanks for sharing on the What’s for Dinner Link up! These look amazing! 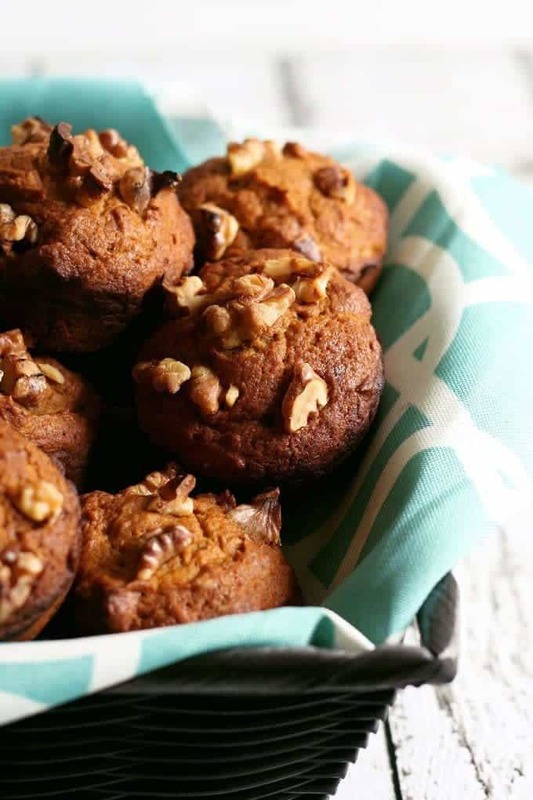 These muffins are perfect for this Fall weather. Stopping by from the Create and Crave party. These muffins look absolutely perfect! I’ve been thinking about making Pumpkin muffins lately. This looks so delicious! Thank you for sharing this on Tasty Tuesdays! Your post will be featured next week, on Savvy In The Kitchen’s Pumpkin Favorites!